Are you an allAgents Premium Support Plus customer? Following several requests for the allAgents API to be integraed into our customers websites, the design team have been working hard to get it working with our pre-design websites. 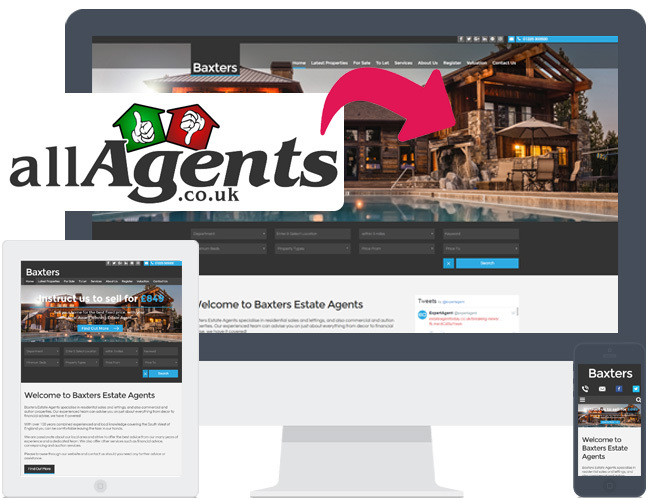 Using the allAgents API mean we can pull in review data from their servers to display within your Expert Agent Pre-Design website, all automated. Allow your customers to submit reviews directly to allAgents from your own website. Display a slider containing your latest 20 allAgents reviews, including star rating, name and date, meaning you keep your reviews always up to date. A reviews page displaying your latest 20 allAgents reviews, including star rating, name and date. Display your overall star rating based on your overall number of reviews. Display your overall star rating and the position you are ranked in your postcode area. *Expert Agent is not associated or affiliated to allAgents, and any feature provided through the website component is directly connected to the allAgents API and their data.